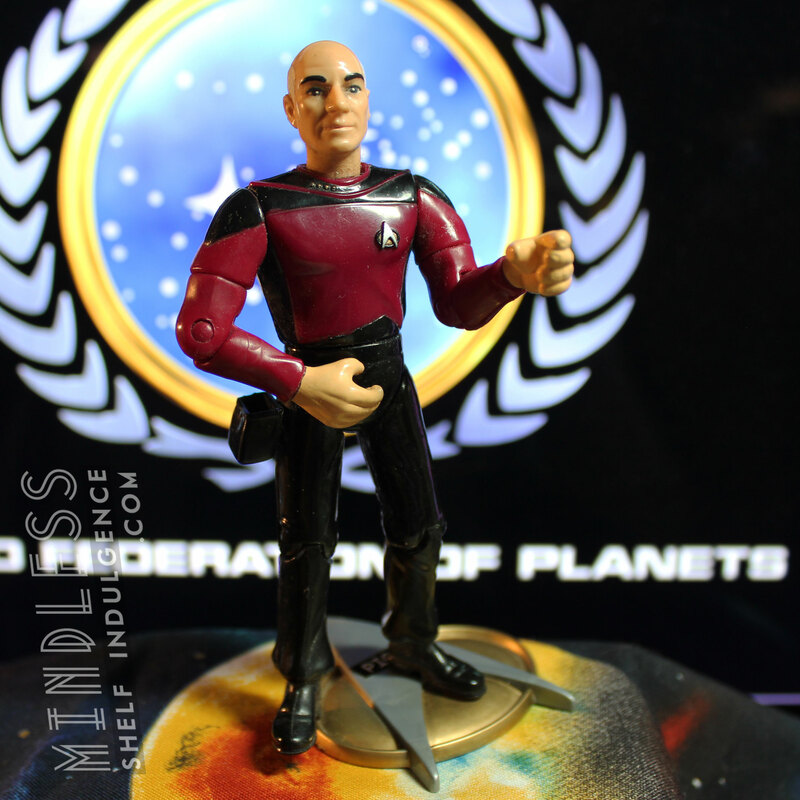 There are many Jean-Luc Picards, but this Series 2 Picard is differentiated by his lack of a high collar. 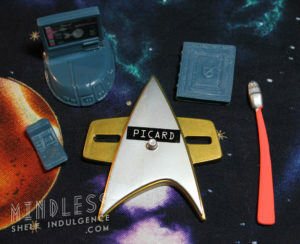 This Season One figure includes blue accessories and a Type II phaser. 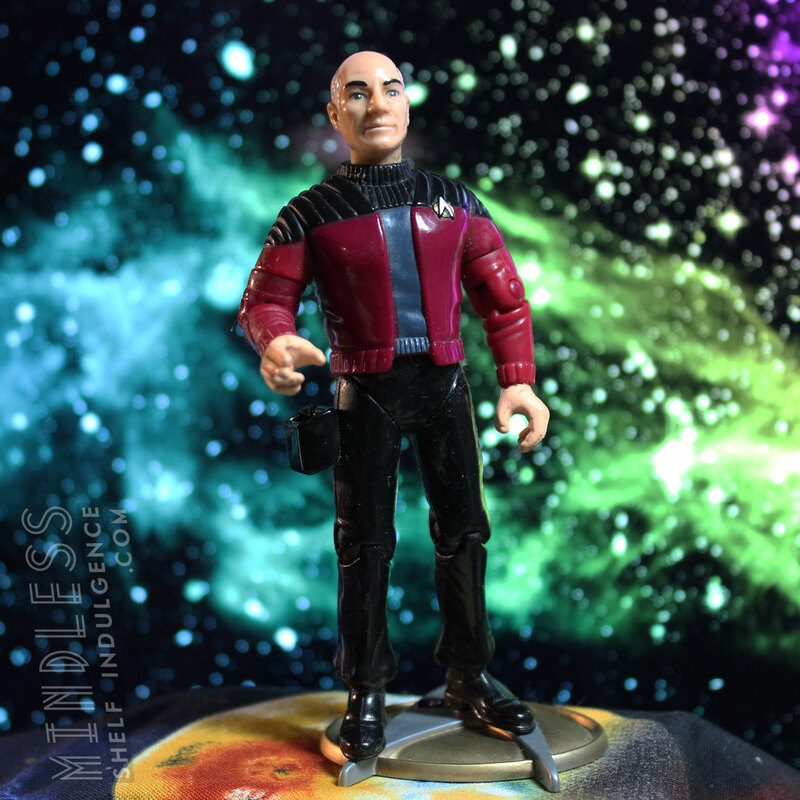 Not to be confused with Series 1 Picard (in a vest), ‘Tapestry’ Picard (in a white-collared coat), Picard in Dress Uniform, or Picard in Deep Space Nine Uniform. Seriously, there’s no shortage of Picards out there for every occasion. 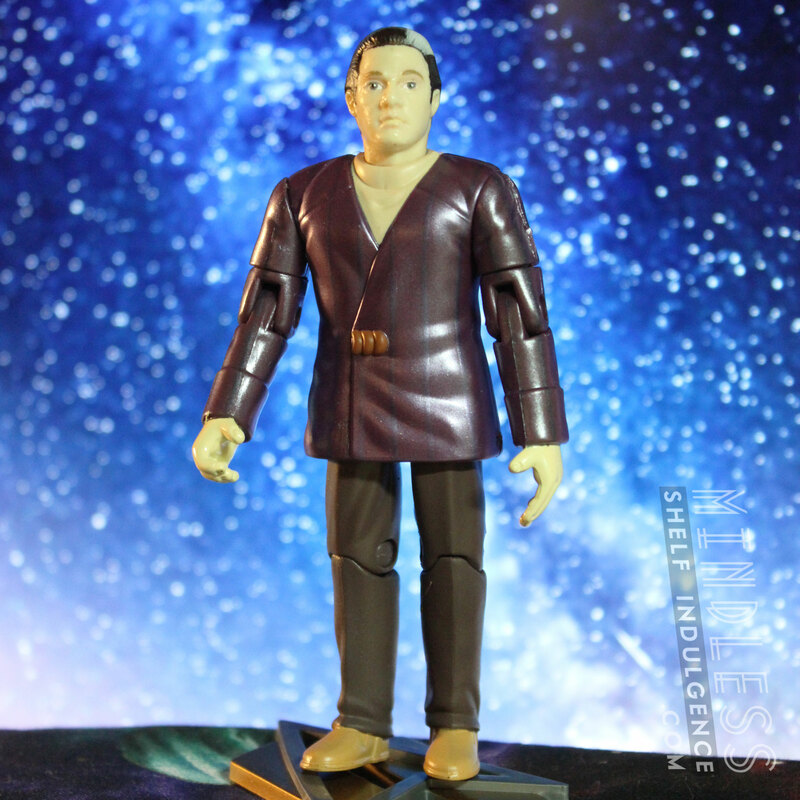 These very weird collarless uniforms were hot, caused back problems for actors, and were gone by the end of the second season. 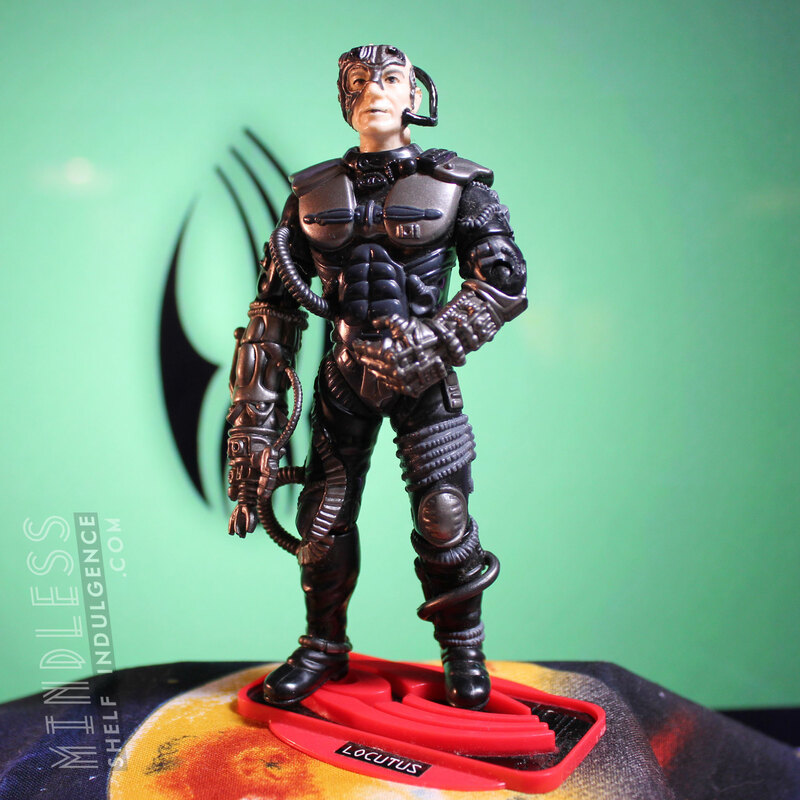 For lack of a better description, this is ‘First Appearance’ Picard.